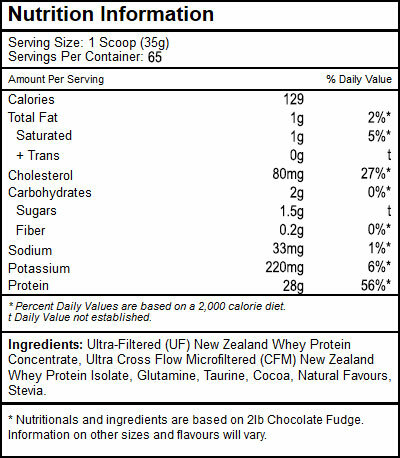 New Zealand Whey. Pure Undenatured Protein. PERFECT WHEY is an ideal blend of the purest and highest quality New Zealand whey proteins sourced from cows that are “Meadow Fed (pesticide free)” and not given and antibiotics, rBGH or BST hormones. PERFECT WHEY contains whey protein that is filtered using cross flow microfilteration (CFM) and ultra-filtration (UF). These proprietary membrane techniques are used to yield the highest levels of undenatured protein possible. The low temperature process also keeps the protein fractions (alpha lactalbumin, gylcomacropeptide, immunoglobulin, serum albumin, lactoferrin and lactoperoxidase) intact. With all natural ingredients and sweetened with Stevia, Perfect Whey mixes instantly and is the best tasting protein shake to deliver maximum results – fast.